Wedding rings that make you say: “Wow, we definitely did this right” even years later. We're not cheap, but therin lies the difference. The design and perfect craftsmanship. 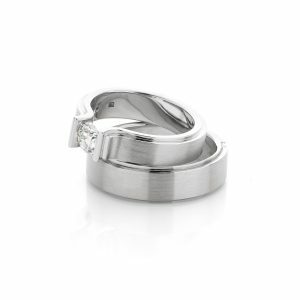 Our wedding rings are the finishing touch. 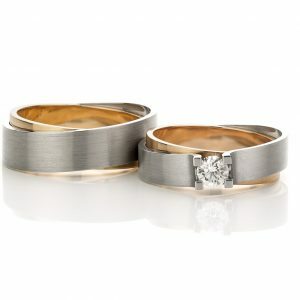 Christian Bauer wedding rings made of 18 carat yellow gold. In the woman’s ring you will find 35 brilliant cut diamonds. 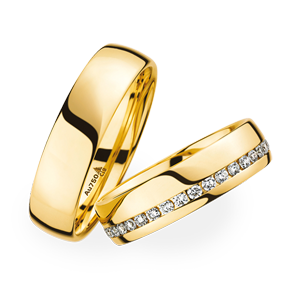 14 karat white and yellow gold Kings and Queens wedding rings. The woman’s ring is set with a brilliant cut diamond of excellent quality. 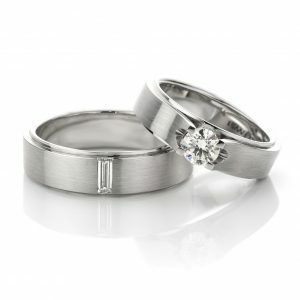 18 karat white gold handmade wedding rings. The woman’s ring is set with a brilliant cut diamond. 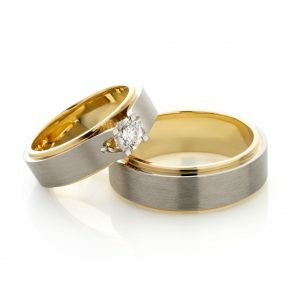 Modern 14 karat bicolor matted wedding rings. The woman’s ring is set with a Marquis cut diamond. 14 karat yellow gold wedding rings. De woman’s ring is set with 7 brilliant cut diamonds. 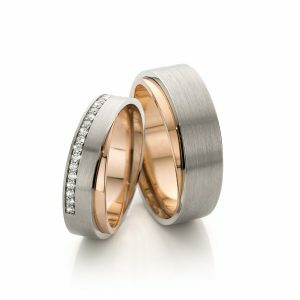 14 karat white- and rose gold design wedding rings. The woman’s ring is set with 19 brilliant cut diamonds of excellent quality. 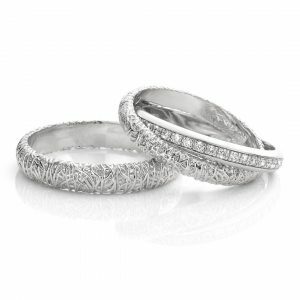 18 karat white gold handmade wedding rings. The ladies ring is in the centre set with an excellent brilliant cut diamond. 14 karat white- with rosegold wedding rings. The woman’s ring is set with a brilliant cut diamond. 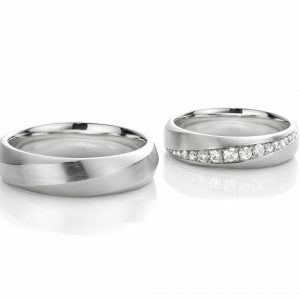 18 karat white gold wedding rings, forged by the best craftsmen in the Netherlands. The woman’s ring is set with 28 brilliant cut diamonds. 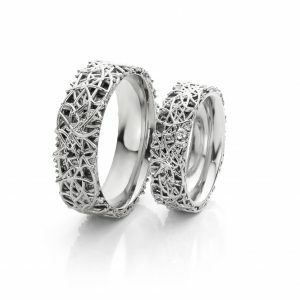 Modern matted wedding rings made of 18 carat white gold. The woman’s ring is set with brilliant cut diamonds. 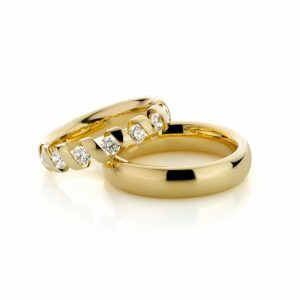 14 karat yellow gold handmade 3D wedding rings. The woman’s ring is set with a brilliant cut diamond. 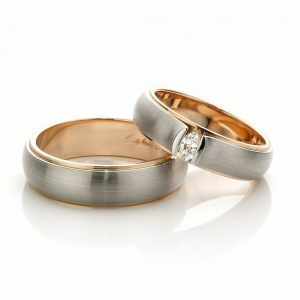 18 karat white gold handmade wedding bands. The woman’s ring is set with a brilliant cut diamond of excellent quality.